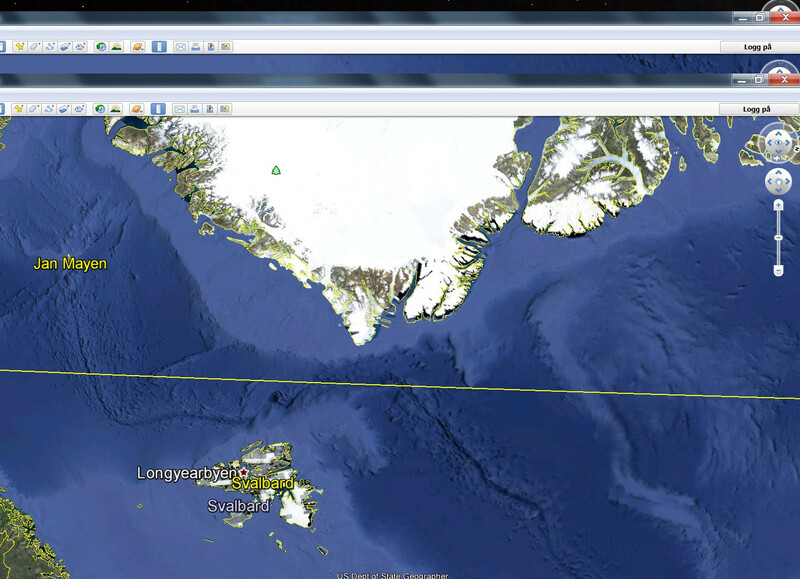 Sail all the way around the world to Antarctica without touching land in a straight line ? Did you know that it’s possible to sail all the way around the world to Antarctica - in a straight line (that's if you could) without ever touching land? 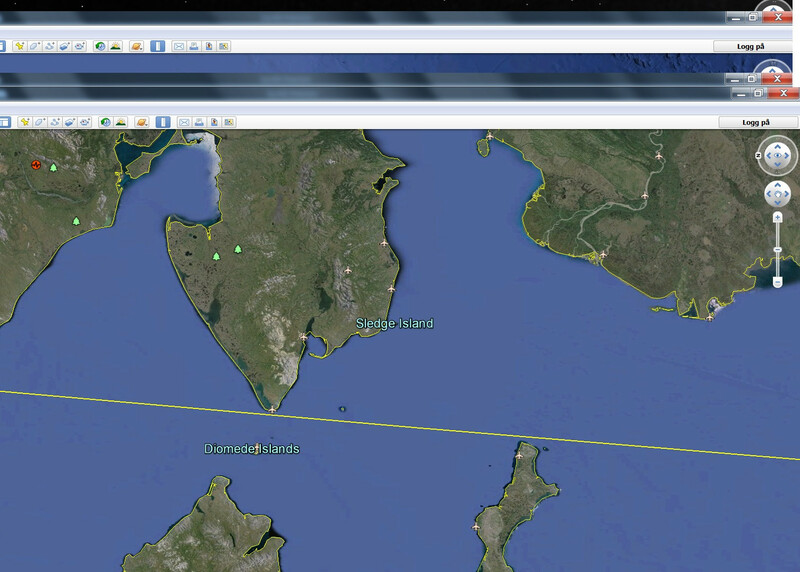 Redditor Groke used Google Earth to show that it's possible - well, barely possible, as the oceanic route brushes past several islands along the way. There’s also the pesky polar ice cap to deal with, so we’ll have to wait for global warming to take its toll before actually attempting to sail this stretch. There are no islands blocking the way between Samoa and Antarctica. 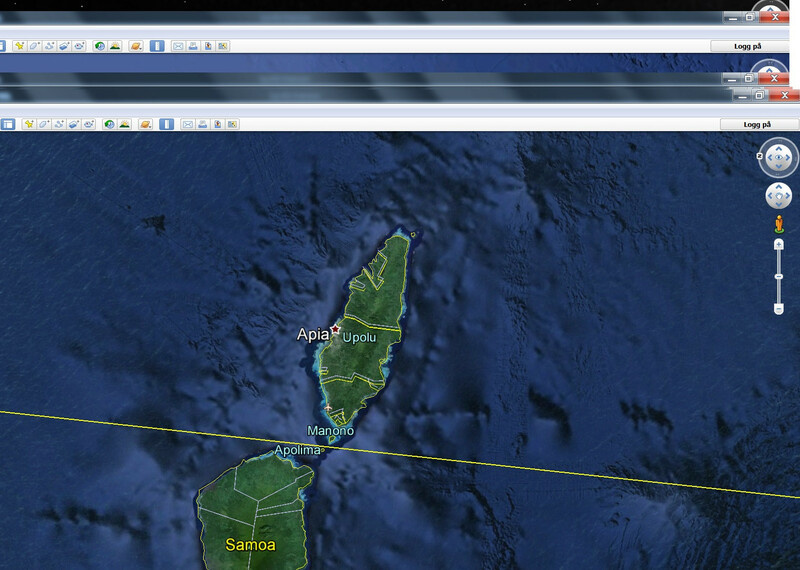 From Samoa, it’s smooth sailing to Antarctica. 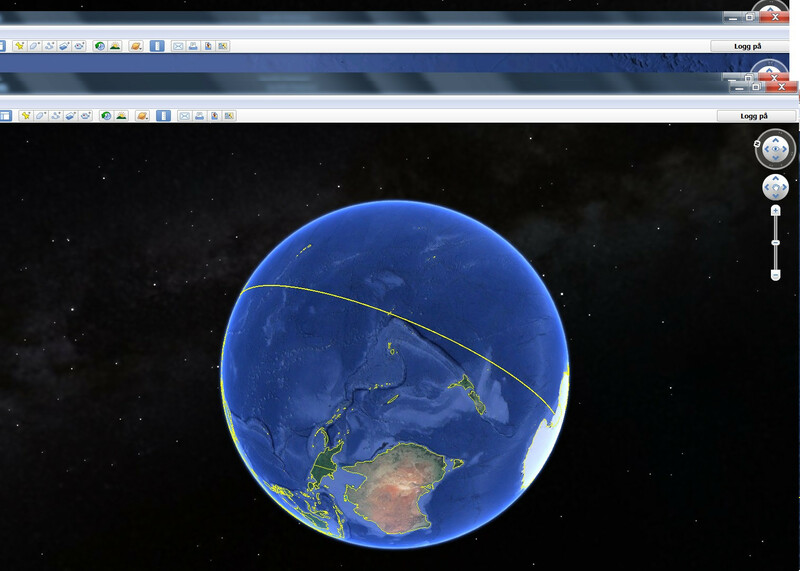 as it's impossible to make a line go further than half way around the globe in Google Earth. 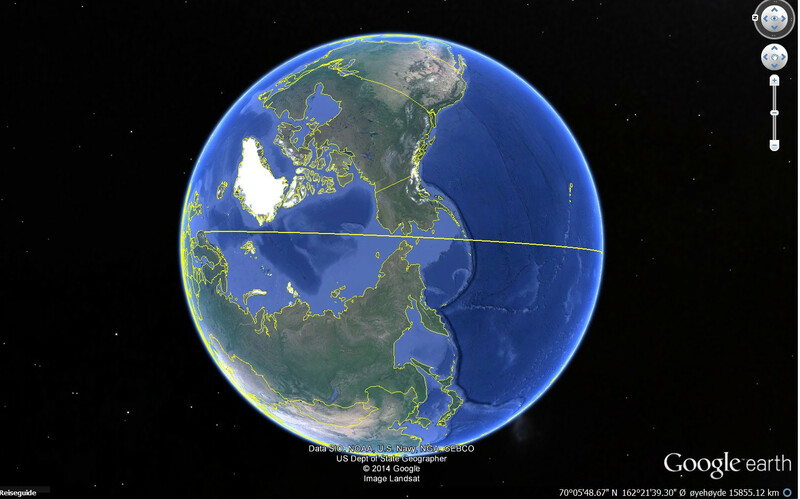 GeoGarage blog : The longest straight line you can sail on Earth ? Plain view of a CUBE 40-m resolution grid (2x vertical exaggeration) of the seafloor area surrounding the discovered seamount. The seamount, estimated to be more than 1,100 meters high, was discovered in the midst of a feature-rich stretch of seafloor approximately 5,100 meters deep. A notable discovery has come out of the U.S. Extended Continental Shelf (ECS) Task Force mapping efforts in an area of the Pacific Ocean that is one of the least explored of the Earth's oceans. 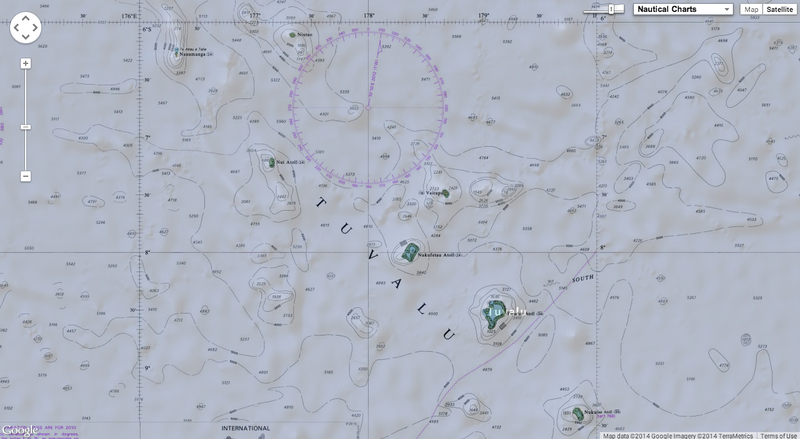 On August 13, University of New Hampshire (UNH) Joint Hydrographic Center (JHC) scientists aboard the R/V Kilo Moana, discovered a new seamount in the Pacific Ocean using a 12-kHz multi-beam echosounder (Simrad EM122). 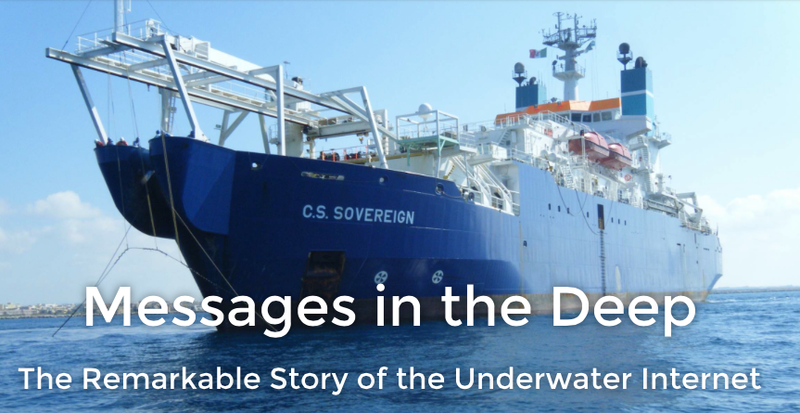 The scientists, led by Dr. James Gardner, have been mapping the ocean floor since August 8. 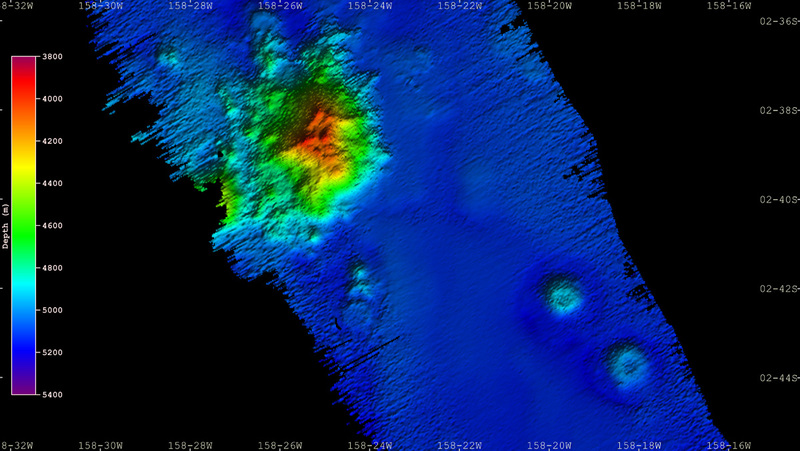 While enroute to map seafloor features targeted for investigation, the ship discovered a new unmapped seamount that was surveyed in its entirety (Figure 1). The Kilo Moana’s advanced mapping system uncovered the seamount, estimated to be more than 1100 m high, in the midst of a feature-rich stretch of seafloor approximately 5100 m deep. 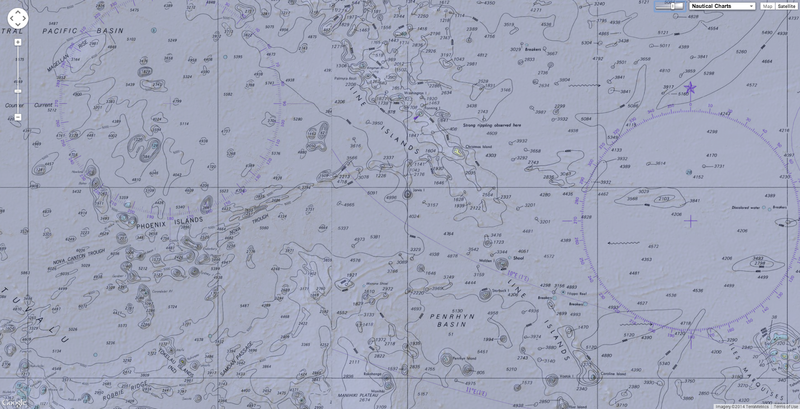 Underwater features are generally considered seamounts if they reach a height of at least 1000 m above the seafloor. Seamounts are typically formed from extinct, submerged volcanoes, and can be found in the ocean around the world. 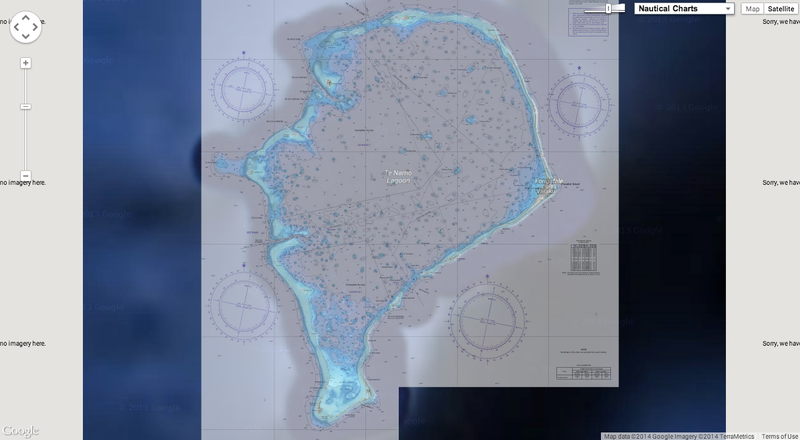 The as-yet-unnamed seamount is located about 300 kilometers southeast of Jarvis Island, in the South Pacific Ocean and has a conical shape with a 7-km diameter base and a maximum estimated slope of 23 degrees. In its neighborhood there are several smaller topographical features with different shapes and scales. 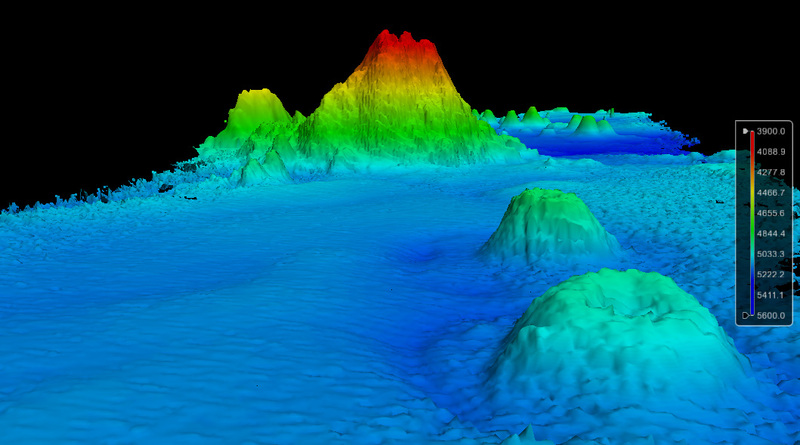 3D view of the seamount area (SE point of view and 3.5x vertical exaggeration) showing two volcanoes, in the foreground, with the discovered seamount in the background. Seamounts often support diverse communities of marine organisms, including commercially and ecologically important fish species, due to their high relief and their effect on localized ocean currents. NOAA is one of the co-vice chairs of the task force. 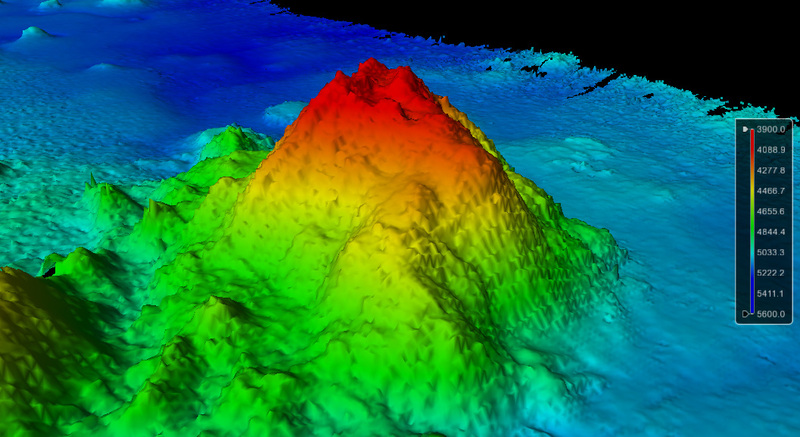 In the course of the ECS effort, discoveries like this seamount are surprisingly common. When this project was added to the President’s budget in 2008, NOAA’s Office of Ocean Exploration and Research (OER) assumed the agency’s annual funding and project coordination responsibilities. OER routinely works in conjuction with NOAA’s Office of Coast Survey and UNH/JHC to carry out the bathymetric mapping for this project. The UNH JHC is a formal cooperative partnership between the University of New Hampshire and NOAA. Its aim is to create a national center for expertise in ocean mapping and hydrographic sciences. Scientist Sylvia Earle (TED Talk: My wish: Protect our oceans) has spent the past five decades exploring the seas. During that time, she’s witnessed a steep decline in ocean wildlife numbers — and a sharp incline in the number of ocean deadzones and oil drilling sites. An original documentary about Earle’s life and work premieres today on Netflix. Watch it here. were all almost fished to extinction. Between 5% and 10% remain. Ocean deadzones are spots in the sea where life no longer exists. They occur when massive fertilizer runoff (or other ocean crises) set in motion an oxygen-depriving chain of events leading to the death in one spot of fish, crabs and other sea creatures. In 1975, there was one documented deadzone. In 2014, there were 500+. Oil drilling in the Gulf Coast didn’t start and stop with the 2010 Deepwater Horizon oil disaster. But the practice is younger than you might think. In 1947, there was just one oil drilling site. In 2014, there were more than 30,000. Has the era of the ‘climate change refugee’ begun? Using temperature data from 1860 to 2005 as a baseline, climate departure describes the point in time that the average temperature of the coolest year after 2005 becomes warmer than the historic average temperature of the hottest year, for a specific location. Tuvalu's coastline consists of white and sandy beaches, green palm trees and mangroves. It is hard to imagine that anybody would want to leave this small island nation, located between Australia and Hawaii, voluntarily. But Tuvalu has become the epicenter of a landmark refugee ruling that could mark the beginning of a wave of similar cases: On June 4, a family was granted residency by the Immigration and Protection Tribunal in New Zealand after claiming to be threatened by climate change in its home country, Tuvalu. The news was first reported by the New Zealand Herald on Sunday. 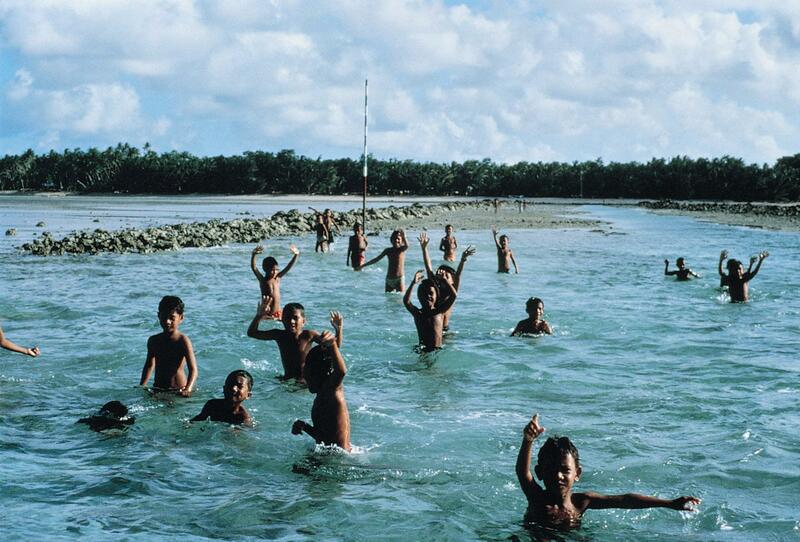 Tuvalu is one of the smallest and most remote countries on earth. 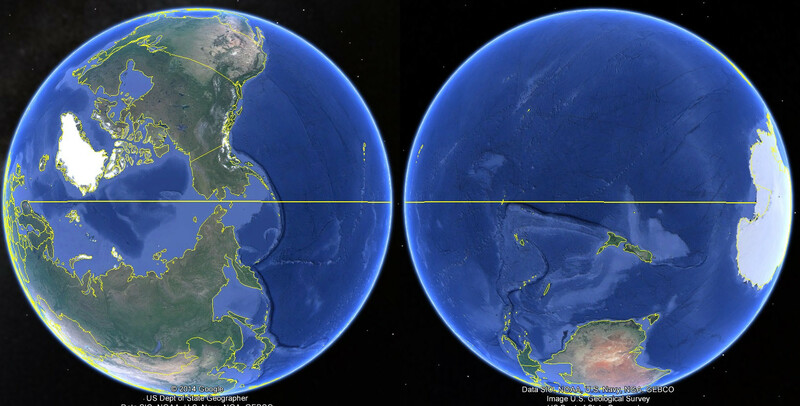 Located in the Pacific Ocean, it can barely be seen on most maps. The country is in danger of disappearing beneath the waves. Not an Atlantis myth but the reality of this century. Plans for evacuation are being made right now. Tuvalu is destined to become one of earth's first nations to be washed away due to the effect of global warming, making the Tuvaluans the first complete nation of climate refugees, banned from their home-islands, their culture and identity taken away. Beyond the appearance of an easygoing life, the threat to Tuvalu's future is an obvious danger that everyone has been forced to recognize. The highest point of Tuvalu is only four and a half meters above sea level. The average elevation is not even two. But still, in spite of the evidence, many people in Tuvalu don't believe they will be forced to leave, and point to their bibles for proof. In the deeply Christian country, great faith is placed in the words of Genesis, which says that rainbows are proof God is keeping his covenant made with Noah to never again flood the earth. What is going to happen to a nation without their home islands to anchor what is left of their culture? 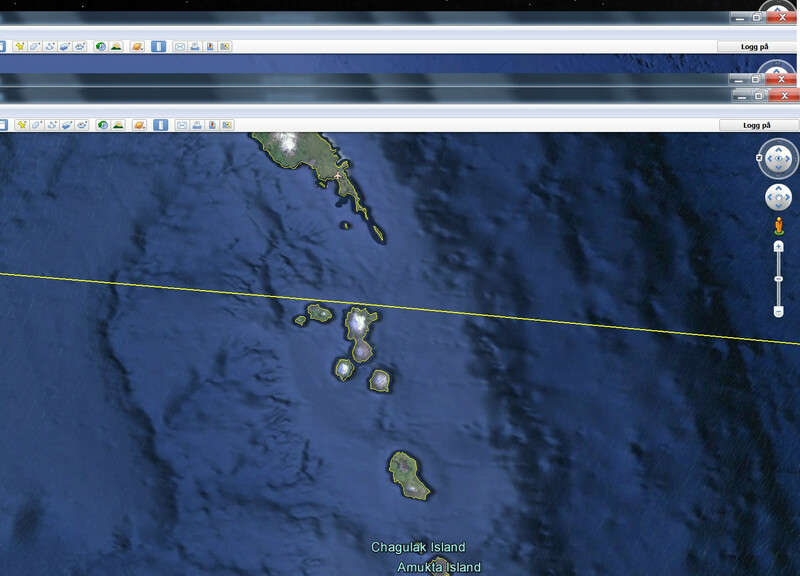 The small Pacific island nation sits just two meters above sea level. If the current sea level rise continues, experts believe the island might disappear in approximately 30 to 50 years. Tuvalu shares this existential threat with many other island nations and coastal regions, which have struggled for years to raise international awareness about their tragic plight. Predictions for climate change-induced displacement range widely from 150 to 300 million people by 2050, with low-income countries having the far largest burden of disaster-induced migration, according to the Internal Displacement Monitoring Center. In contrast to the vast amounts of water that surround this Polynesian island, this country’s size–in terms of population and physical space–is quite wee. In terms of physical size, Tuvalu is the fourth-smallest country in the world, just behind the Vatican, Monaco and Nauru. Those threatened by sea-level rise, droughts or other natural catastrophes face an epochal problem: Victims of climate change are not recognized as refugees by the International Refugee Convention. In the Tuvalu case, Sigeo Alesana and his family reportedly left the island nation in 2007 and moved to New Zealand, where they lost their legal status in 2009. The family was not able to obtain work visas and had to apply for refugee and protected persons status in 2012. Although the claims were dismissed in March 2013 and an appeal was turned down, the family's case was finally approved. The case was closely followed by immigration and environmental lawyers all over the world. The tribunal explicitly mentioned climate change in its assessment saying that Alesana's children were particularly "vulnerable to natural disasters and the adverse impact of climate change." "I don't see it as delivering any kind of 'verdict' on climate change as such," says Vernon Rive, a Senior Lecturer in Law at AUT Law School in Auckland. The New Zealand decision is very specific because the family based its application for residency on three arguments, Rive says. First, the family members claimed to be refugees; second, they argued to be "protected people", and third, the family said its case fell under "exceptional humanitarian grounds." Each of these arguments is based on an existing convention regarding refugees, but the family only succeeded because it claimed "exceptional humanitarian grounds," which is a wording recognized in New Zealand's immigration legislation but not by many other governments. In its judgment the New Zealand tribunal surprisingly acknowledged the humanitarian consequences of climate change among other factors, such as the presence of an elderly mother who required care. In its conclusion, however, the tribunal refrained from singling out climate change and stated that other factors would already have been sufficient to grant residency to the family. In other words: The tribunal avoided a clear decision on whether climate change can or cannot be reason enough for refugees to be granted residency. The mere fact that the tribunal mentioned the impacts of global warming as a contributing factor to the ruling is nevertheless remarkable. "What this decision will not do is open the gates to all people from places such as Kiribati, Tuvalu and Bangladesh who may suffer hardship because of the impacts of climate change," Rive says. While the tribunal's decision may not have the same impact everywhere, it could send a strong signal to a number of nations, such as Sweden and Finland, that often grant asylum to people affected by natural disasters. According to French climate change migration expert François Gemenne, governments need to get to grips with the reality of climate change refugees, irrespective of legal conventions. "I believe that bilateral or regional arrangements are going to become necessary," says Gemenne, suggesting a raft of agreements will need to be put into place, between nations and among geopolitical blocs, that will ensure the protection of those displaced by rising waters. But will there eventually be open doors for the victims of climate change? Some of the countries endangered by climate change fear that their citizens could effectively become "second class" citizens abroad. As a consequence, the island nation Kiribati – itself at risk from climate change – has set up a "Migration with Dignity" program which involves training its citizens as highly-skilled workers who are needed and welcomed in other countries if and when the residents of Kiribati are forced to move. The recent New Zealand ruling could give smaller nations stronger leverage on the international stage. But do the world's leading statesmen, beset by a host of other crises, care? Michael Gerrard, Director for Climate Change Law at Columbia University, puts current progress in perspective: "The world community has not even begun to grapple with what is to come," he tells WorldViews in an e-mail. This animation shows how the cable network grew rapidly between 1997 and 2003. The first commercial cables were laid in 1850 to send telegraphy traffic. Since then the cables have been used to send telephone traffic, and most recently data traffic. Built by London-based Builtvisible, and based on data from TeleGeography, the map (pictured) plots the development of 5,561,268 miles (8,949,994 km) of underwater cable. Each year it grows to accommodate our increasing dependence on the internet, and now an interactive map has plotted its blood vessel-like expansion over the last 25 years. Built by London-based Builtvisible, and based on data from TeleGeography, the map plots the development of 5,561,268 miles (8,949,994 km) of underwater cable. It begins with UK-France line in 1989 that stretches 96 miles (155km) from Brighton to Dieppe, and ends with the 9,260 mile-long (14,903km) Russian Optical Trans-Arctic Cable System, expected to launch towards the end of 2016. Almost 95 per cent of the internet we use everyday is carried between countries through these fragile two-inch (50mm) thick lines. In 2006, submarine cables carried just one per cent of traffic - an increase of 94 per cent in just eight years, according to official figures from the International Cable Protection Committee. Since 2012, the number of submarine cables have almost doubled from 150 to 285. Of this 285, 263 cables are currently in use, while 22 are set to be in use by the end of 2015. When a cable is laid but not in use it is called a 'dark' cable, but once in use it becomes 'lit'. By 2017, the Builtvisible map reveals this number is expected to rise to 849. Cables on the map can be filtered by year, country and cable operator, which includes Google, Facebook and Vodafone. 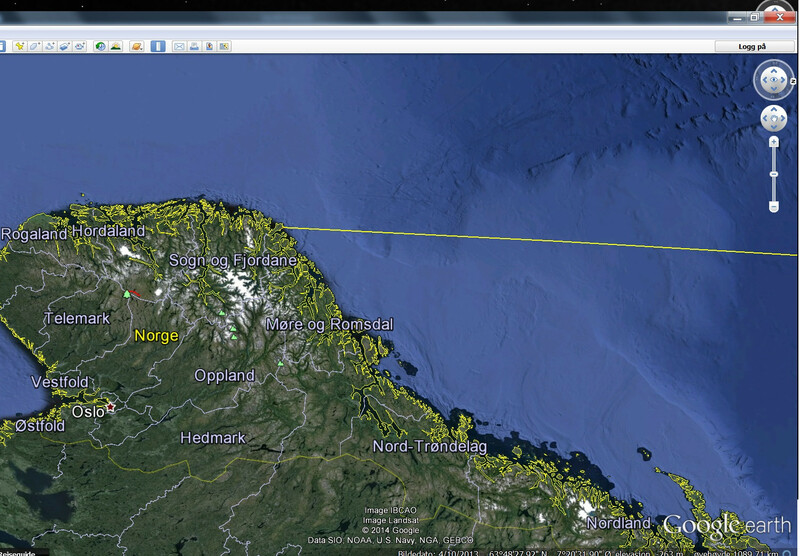 It shows active and planned submarine cable systems and their landing stations. Selecting a cable on the map, or from the submarine cable list, reveals details of the cable’s name, ready-for-service (RFS) date, length, owners, website, and landing points. A submarine communications cable is laid on the sea bed between land-based stations. It is laid by specially designed ships that can carry thousands of miles of coiled cable in their holds and can lay it as it travels across the ocean. There is only a limited amount of space for cable on land, and this makes the space expensive to rent, and highly competitive. Since 1850 engineers and telecom companies, instead, have been taking advantage of the vast land beneath the oceans to lay cables. The first cables were used to send telegraphy traffic. By 2017, the map reveals that the number of cables is expected to rise to 849. This image shows that by 2017, Google will have built 11 cables stretching 61,727 miles (99,340 km). Many of the modern cables are made of fibre optic, to increase the size and speed at which the information can be sent, and are only two inches (50mm) thick. Trial cables were laid in 1842 in New York harbour and were insulated with tarred hemp and rubber. Nowadays, cables are protected using polyethylene. Traditionally the cables were owned by service providers, yet websites have also started buying submarine cables to control their networks. For example, Google is part of the consortium that manages the Southeast Asia-Japan cable, and Facebook is part of the consortium that manages the Asia Pacific Gateway. Reports in December stated that by owning private networks these companies can stop governments from being able to track what they get up to. Back in the 1970s, Operation Ivy Bells was thought to have been the first underwater cable-tapping operation. It took place when copper wires, which radiate electromagnetic energy, were used to relay relatively small amounts of data that could be intercepted by fitting a recording device around the cable. 'At the time, the Soviets were so confident in the security of their line they left it completely unencrypted, enabling U.S. intelligence teams to simply record the transmissions, extract them from the seabed and listen to them at the end of each month,' explained Builtvisible. In modern cable systems, fibre optic cables use photons to transfer data. Modern tapping can be accomplished in one of two ways - either by splicing the cable and splitting the photon stream with a prism, or by bending the cable to a point where it begins to leak data. 'The documents leaked to The Guardian by Edward Snowden in 2012 revealed how British and American intelligence agencies had tapped more than 200 of these cables as part of an ongoing mass-collection spying project launched in 2008, completely undermining the privacy of ordinary citizens across the world,' continued Builtvisible. As of 2010, submarine cables link all the world's continents except Antarctica. East Africa was the last major region of the globe to connect to high-speed broadband, with the launch of SEACOM’s subsea cable system in 2009. Cables can be broken by fishing trawlers, anchors, earthquakes, turbidity currents, and even shark bites. If cables need to fixed, a repair ship will drop a buoy in the location of the break and a submersible is sent down to repair them. Selecting a cable on the map (pictured) or from the submarine cable list, reveals details of the cable's name, ready-for-service (RFS) date, length, owners, website, and landing points. The cable system between Rockport, Maine and the islands of North Haven and Vinalhaven in the U.S experienced 45 faults over a 15-year period between 1990 and 2005, becoming known as the world’s worst performing system. Most of the faults were abrasions caused by tidal currents rubbing the cable across the rough and rocky sea bed. Ship’s anchors and fishing trawlers also caused their share of damage, hooking cables that were suspended above the sea bed. Some faults were also said to have been caused by repairs made on other parts of the cable. In December 2006, communications across Asia were severed when the Hengchun earthquake knocked out 80 per cent of the cables connecting Taiwan with the rest of the world. The breakages took out half of Hong Kong’s Internet capacity and cut China’s access to foreign websites.